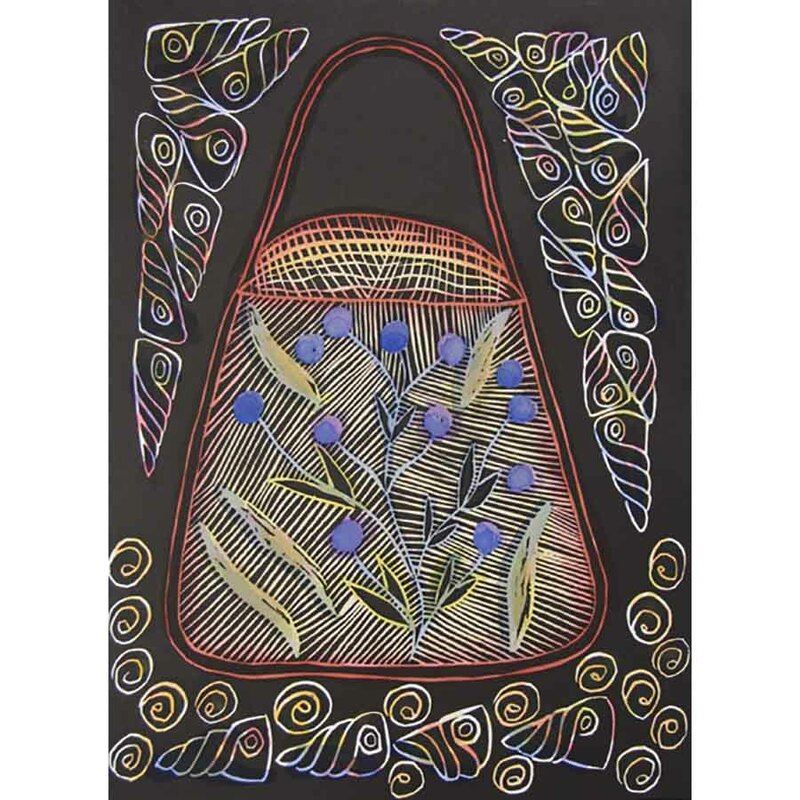 Evelyn is an accomplished basket weaver and has practised and taught traditional arts and crafts her whole life. 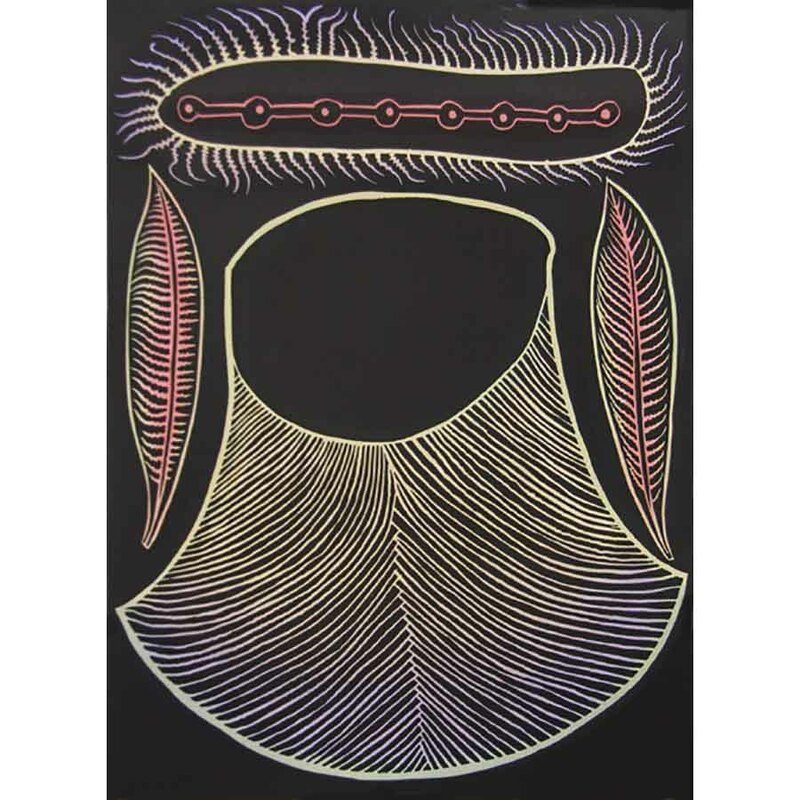 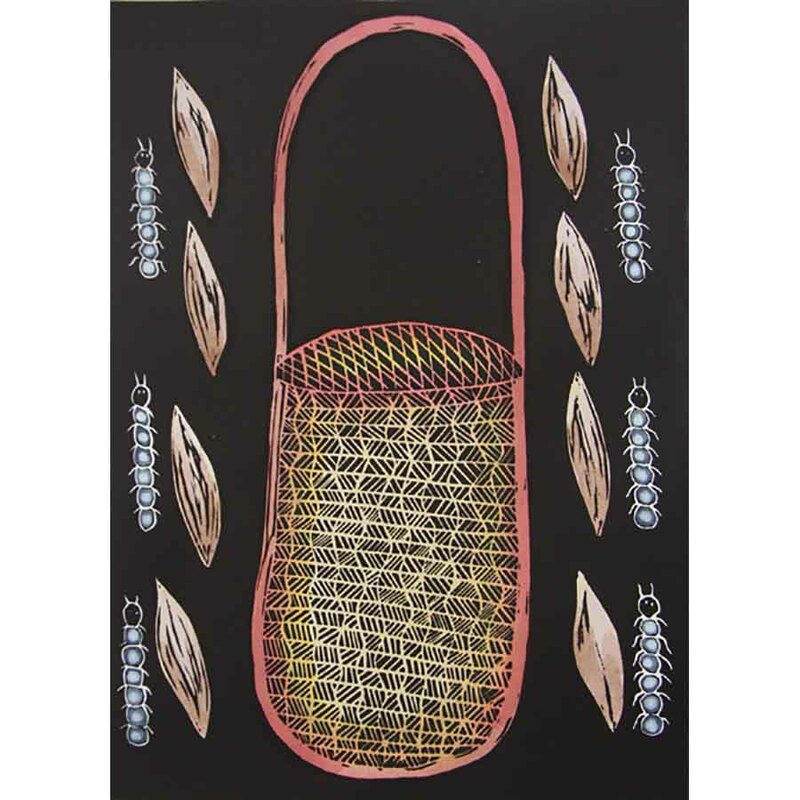 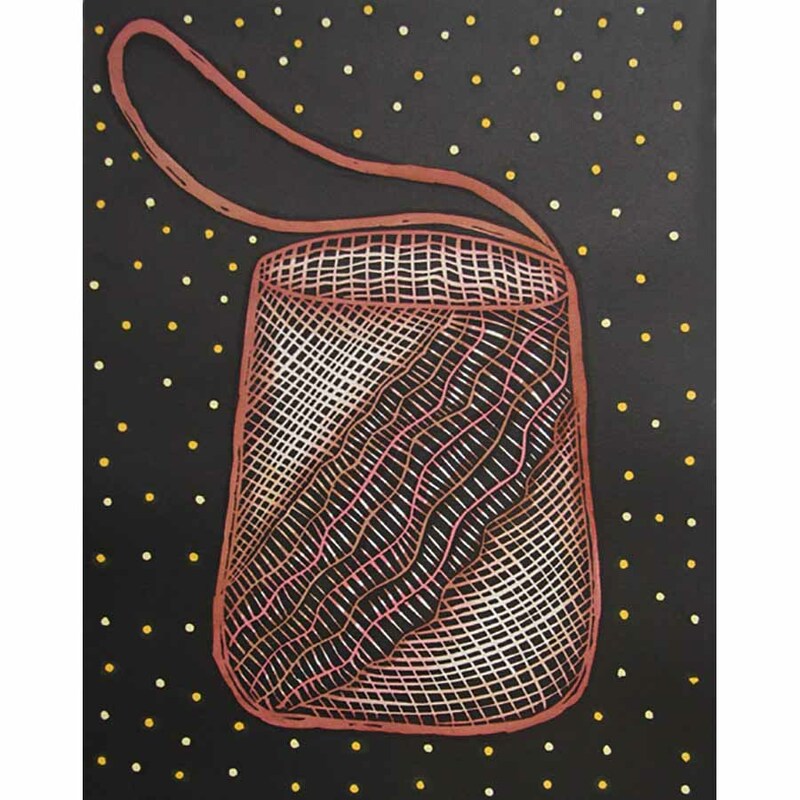 The Wawu bajin series of prints are based on traditional baskets woven throughout Evelyn’s career. 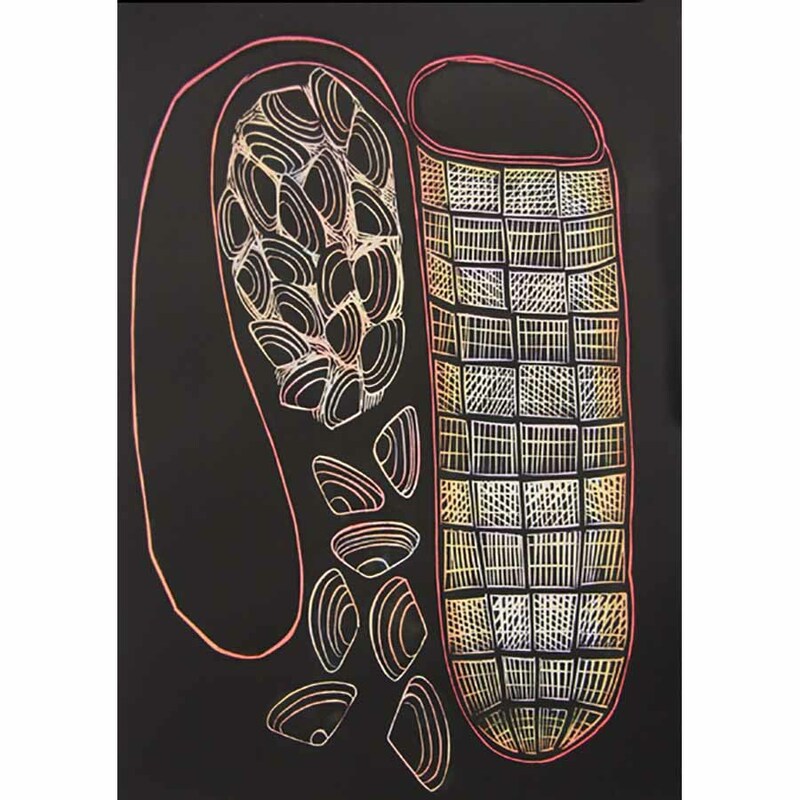 Passionate about maintaining links with the past, and about teaching hunting and traditional bush crafts, Evelyn is a highly respected elder and an executive member of the Hope Vale Arts and Cultural Centre. 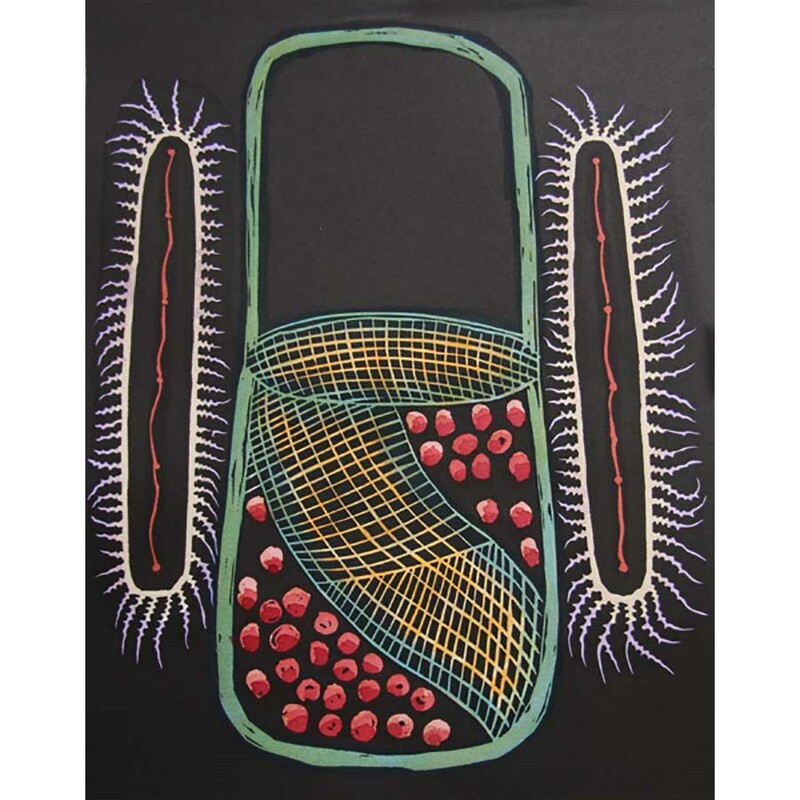 Her works are held by Artbank, Queensland Art Gallery, Gallery of Modern Art and in various private collections. 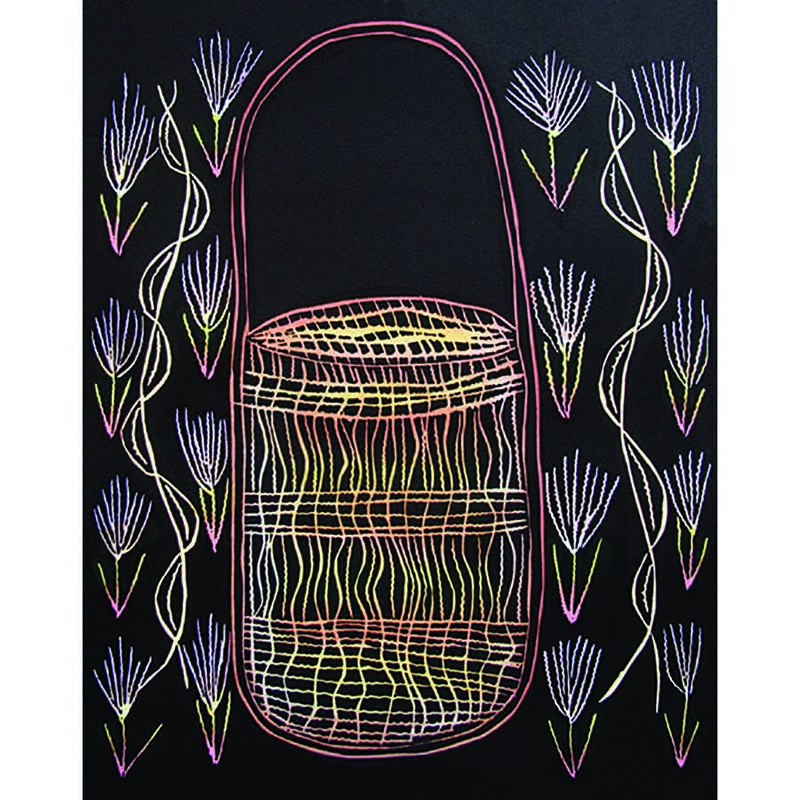 These works – limited edition linocuts available as individual prints, or as a folio of eight – are based on traditional baskets woven throughout the lifetime of the artist. 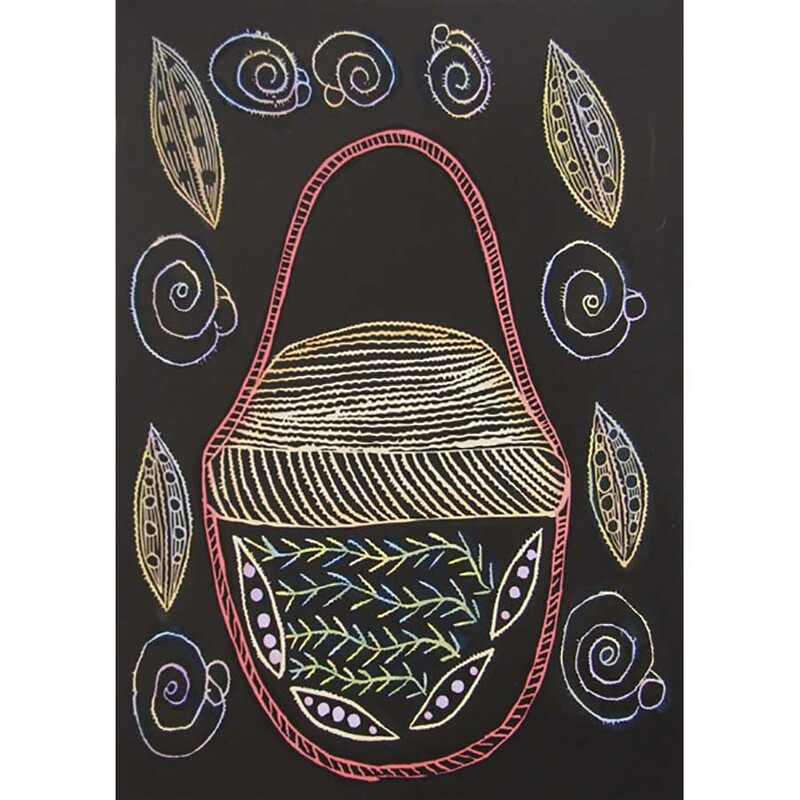 Passionate about maintaining links with the past and teaching hunting and traditional bush crafts, Evelyn is a highly respected elder and an executive member of the Hope Vale Arts and Cultural Centre.